Tulip snail Fasciolaria tulipa, copyright Amy Tripp. The Fasciolariidae, band shells and spindle shells, are a group of carnivorous gastropods found in both tropical and temperate seas. They have a long anterior canal (sometimes extraordinarily so), and a large horny operculum that fills the aperture when retracted (Wilson & Gillett 1971). Members of the subfamilies Fasciolariinae and Fusininae tend to be larger than the smaller, hard-shelled members of the Peristerniinae. Members of the genus Fasciolaria are commonly known as 'tulip shells' in reference to their shell's overall shape. [DK08] Darragh, T. A., & G. W. Kendrick. 2008. Silicified Eocene molluscs from the Lower Murchison district, Southern Carnarvon Basin, Western Australia. Records of the Western Australian Museum 24 (3): 217–246. [IZ77] Ingham, R. E., & J. A. Zischke. 1977. 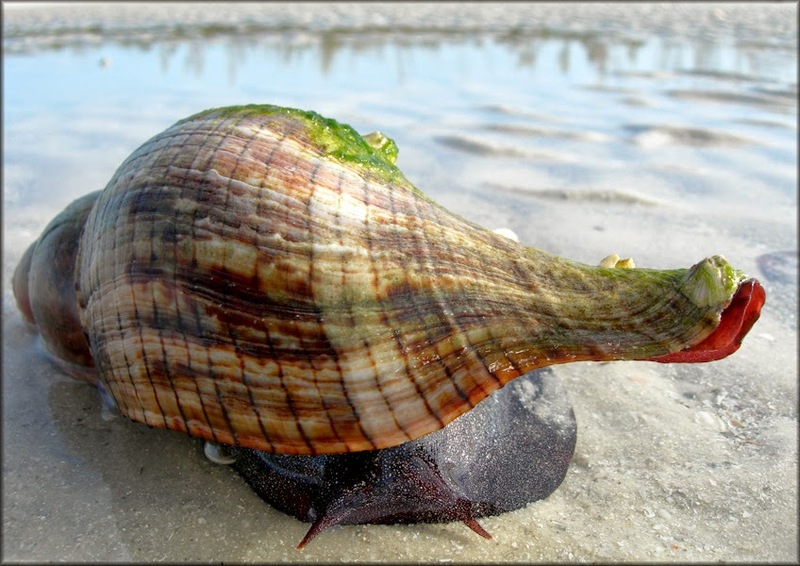 Prey preferences of carnivorous intertidal snails in the Florida Keys. Veliger 20 (1): 49–51. [J49] Johnson, R. I. 1949. Jesse Wedgwood Mighels with a bibliography and a catalogue of his species. Occasional Papers on Mollusks 1 (14): 213–231. [S88] Snyder, M. A. 1988. Latirus martini (Gastropoda: Fasciolariidae), a new species from Honduras. Nautilus 102 (2): 54–55.